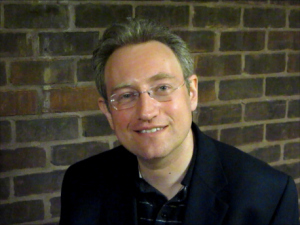 MICHAEL A. VENTRELLA: Alex Shvartsman is a writer and game designer. 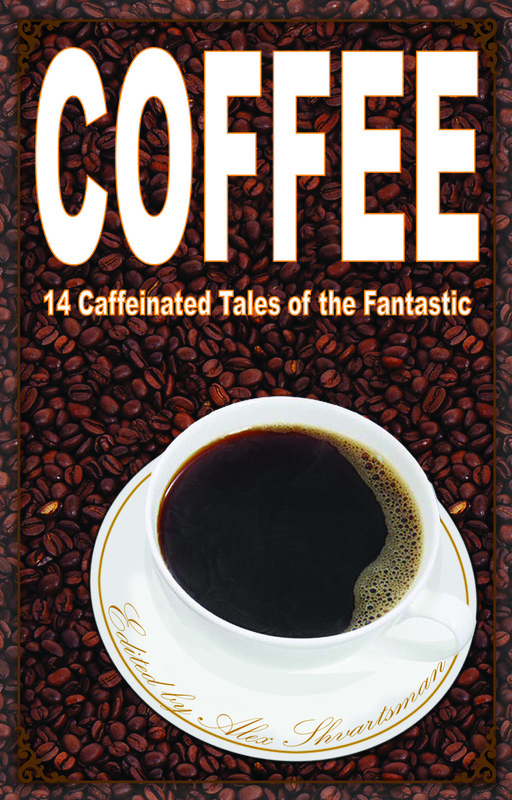 He has sold over 60 short stories to a variety of magazines and anthologies. His fiction has appeared in such venues as the journal of Nature, Daily Science Fiction, InterGalactic Medicine Show, Galaxy’s Edge, and many others. Click here for the complete bibliography. 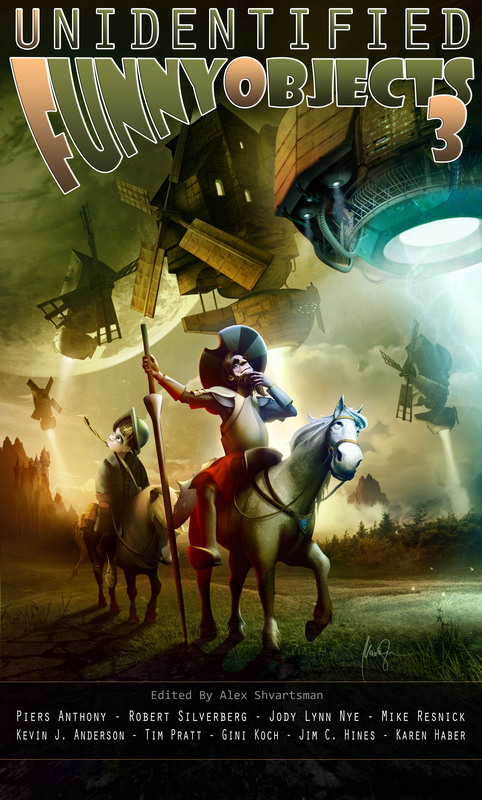 Alex edits UNIDENTIFIED FUNNY OBJECTS — an annual anthology series of humorous science fiction and fantasy short stories. You can get his latest novel here and read his short stories here. His web page is here! Alex, what inspired you to create the “Unidentified Funny Objects” series? 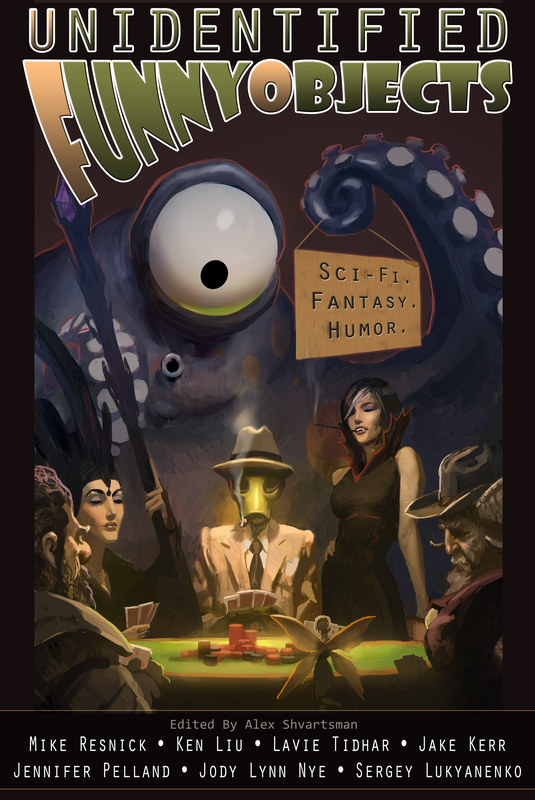 ALEX SHVARTSMAN: There isn’t enough great humorous SF/F short fiction being published, and there is no other venue that specializes in doing such, outside of an occasional themed anthology. I knew I’d love such a series as a reader and felt there are enough fans of the lighter fare out there to make the project successful. VENTRELLA: As anyone who has read my work knows, humor plays a part – not that I write comedy, but my characters have personalities and make wisecracks and funny things can happen even in a very serious book, just like in real life. What’s your opinion on humor in fiction? SHVARTSMAN: I think almost any story can benefit from a bit of comic relief. There are very funny moments even in grimdark fare like Game of Thrones, and they belong well. But there is a difference between a story that’s humor and a lighthearted adventure story that uses humor as one of the many tools in the author’s toolkit. It’s difficult to define the line, and it’s something I’m always conscious of when I read submissions for UFO. VENTRELLA: Tell us about UFO Publishing. How did that come to be? SHVARTSMAN: I’m a tinkerer and a serial businessman at heart. It’s hard for me to ignore opportunities. I felt that I could put together a good product while doing things differently from many other publishers, and so I created an imprint for the UFO anthologies and an occasional other book. VENTRELLA: Has it been a success? SHVARTSMAN: I think so. I’m not rolling in dollar coins Scooge McDuck style (yet!) but I’ve been able to pay authors and other professionals involved in putting the books together competitive rates, and to release books I feel look as good as anything from a big New York publisher. I haven’t paid myself anything yet, which, I suppose, makes me a hobbyist — but I’ve made investments into the series and the sales are gradually increasing every year, so I may be turning a profit one of these days. Until then, I got a ton of experience out of it, got to work with and edit New York Times bestselling authors, and made lots of new friends in the field. SHVARTSMAN: This is a busy year for me. 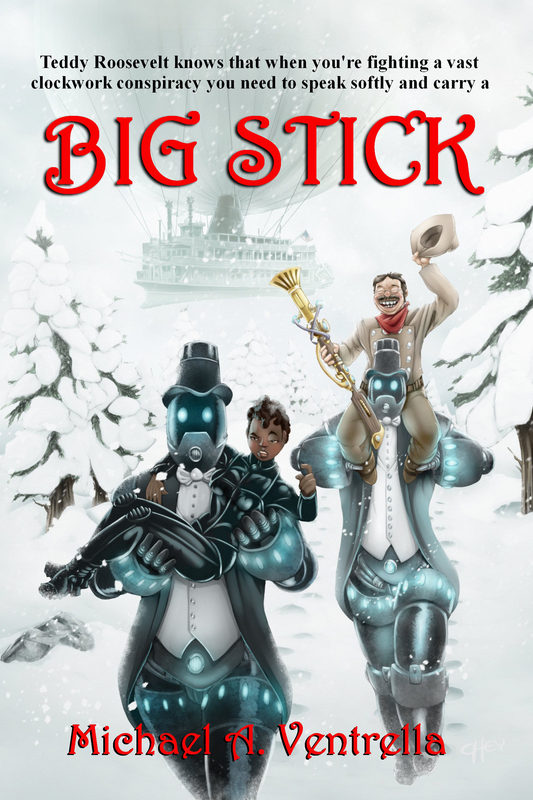 My short story collection, EXPLAINING CTHULHU TO GRANDMA AND OTHER STORIES was released in February, and my steampunk humor novella, H.G. WELLS, SECRET AGENT just came out. 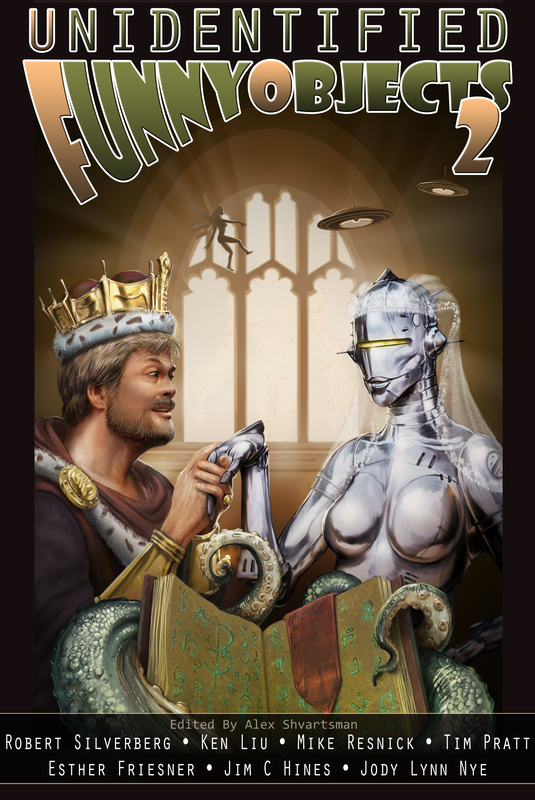 Up next is FUNNY SCIENCE FICTION — a reprint anthology similar to UFO that’s due out in September, and then UFO4 (featuring GRRM and Gaiman) out in November. VENTRELLA: Editing an anthology can be a pretty frustrating job (as I well know) – what are some of the biggest mistakes you see when authors submit stories? SHVARTSMAN: Often authors do not really understand what the editor is after. The best way to figure it out is to read the magazine/anthology series you’re submitting to — but not everyone has the time, or sometimes the budget, so I don’t get upset about it. Ultimately I would rather see the story if the author is not 100% sure whether it’s a good fit, then not see it. VENTRELLA: What is your pet peeve about editing an anthology? SHVARTSMAN: People blatantly disregarding the guidelines. While I want them to send stories in when it doubt, I don’t like seeing an 8000-word horror novelette when I ask for humor stories of up to 5000 words! I’m not even sure what goes on in the mind of such an author. What are they hoping to achieve? Suppose I end up reading this thing and even liking it a lot — but I don’t edit anything that could publish such a work anyhow. SHVARTSMAN: I’ve been reading science fiction and fantasy since I was about ten years old. I’ve always wanted to write it, too, but my family immigrated to the US when I was 13 years old, and I had to learn a new language. For a long time my English wasn’t good enough to write fiction, and by the time it (arguably) became good enough, I was too busy with other endeavors. I kept promising myself that I would get to writing someday, when I had free time. Eventually I figured out that I will never, ever have free time. I’m the kind of person who finds himself projects to take up the time (see UFO Publishing!) And so I just decided to start writing, back in 2010. Five years and over 80 short story sales later, I’m still writing! SHVARTSMAN: Being a great writer requires a combination of two things: talent and craft. You can have all the talent in the world but you will only ever be a mediocre writer without craft, and vice versa. Craft is learned: you do the 10,000 hours thing, you keep writing and getting those rejection letters, and your skill improves. Talent, on the other hand, is something you have to be born with. Either you have it, or you don’t. You have to have at least some, to succeed as a writer. SHVARTSMAN: This is really the same question: they have to be interesting, they have to want something, and they have to be at least a little inconsistent, like real people. They can’t be all-good or all-bad. That makes them predictable and boring, and real people don’t work that way. They have to have flaws, and weaknesses, and every character you write has to act and speak as though he/she is the hero of the story. Because in their own mind, they are. SHVARTSMAN: The protagonist of my novel-in-progress is a queen and a warlord who skirts the line between anti-hero and villain, and is forced to make many difficult choices along the way. Writing her is a balancing act: I want to keep her sympathetic to the reader but not too sympathetic, because she often does bad things or makes bad choices. So I play the balancing act, to ensure the reader always wants to keep turning pages. SHVARTSMAN: They absolutely need to be larger-than-life. No one wants to read about Bob from accounting who comes home from work and watches Netflix for the rest of the evening, because that’s boring. The characters themselves need to be extraordinary, or they can be ordinary people placed in extraordinary circumstances. Either way can work well, depending on the story you want to tell. SHVARTSMAN: Every author’s stories are unique in some way, aren’t they? We all have our own voice. In my case, I tend to write short, compact stories with very tight plots and (hopefully) clever resolutions. And, of course, a healthy dash of humor. SHVARTSMAN: I envision the world of the story, the conflict, and then the resolution. That last one is key: if I don’t have an ending I’m satisfied with, I don’t start writing the story. Once those elements are in place, I mostly pants the rest. Each scene drives the story toward the intended resolution in some way, which keeps things nice and compact, while I get to explore the setting and my characters along the route of this journey. SHVARTSMAN: A lot of my stories begin with a “what-if” idea. But it can really start with any prompt, or combination of prompts. Like most writers I know, I have a note file where I write down story ideas, one-liners, and other curiosities that I think I can use in my fiction. 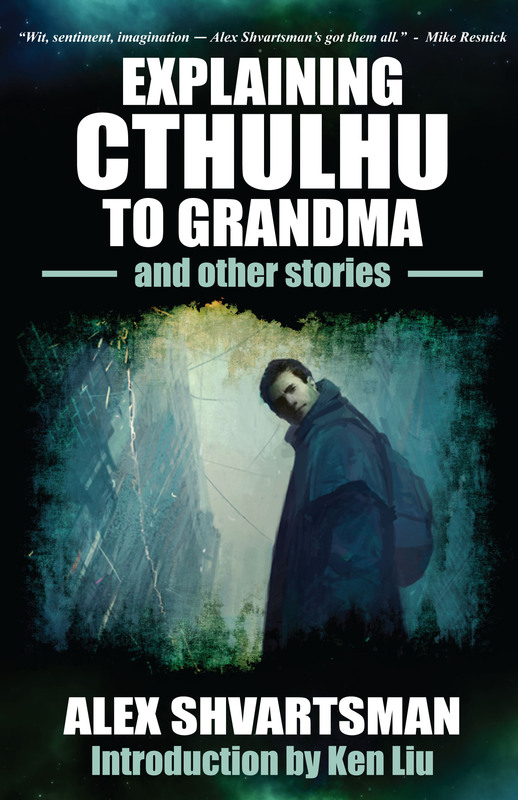 Several of my stories, including my most famous one: “Explaining Cthulhu to Grandma,” grew out of conversations and goofing around on Twitter. SHVARTSMAN: Not a damn thing. I write about galactic empires, magic, and alternate-history Victorians. Seriously though, your life experience always influences your fiction. Whether it’s personal experience or just being well-read. GRRM could not have written his epic fantasy series without studying up on the War of the Roses. Asmiov probably would not have invented his Three Laws of Robotics without his scientific background. And me? I immerse myself in pop culture and stay current on the latest cat memes! SHVARTSMAN: Exposition gets a bum rep, especially among beginner workshop authors who don’t know any better. In truth, it’s an integral part of storytelling and one should use it when it’s the best tool for the job. The trick is to use it sparingly, just like every other tool you have. Write interesting enough exposition and you can keep the reader’s attention for pages, without them pausing to notice! SHVARTSMAN: I don’t think that’s a requirement. There is no right or wrong way to go about it. In my case, I’m confident that cutting my teeth on short stories will help me improve my odds of writing a sellable novel. But one shouldn’t force themselves to write short if that’s not their preferred form. SHVARTSMAN: They’re not harder to write, but they’re harder to sell. I think it’s more difficult to place a short story with a top genre magazine than to sell a novel. Because a good short story writer pumps out dozens of them a year, and so the competition is fierce. While plenty of novels get written every year as well, few of them are publishable and most of those generally find homes. SHVARTSMAN: Absolutely. There are a ton of great writers out there to choose among. Meeting readers in person is a great way to convince them to sample your writing. VENTRELLA: Many authors are using online sites to publish short stories these days. Have you done this, and if so, has it worked for you? SHVARTSMAN: I have my reprint stories (once the rights have reverted) available as e-books, as well as downloads on QuarterReads.com — it’s a few extra dollars a month, not a major source of income or readers, but it adds up, slowly, and there’s no good reason not to utilize every avenue available to obtaining new readers and getting paid for your work. SHVARTSMAN: It’s an awesome tool but it works best for authors with a fair amount of traditional publishing success. Tim Pratt is an excellent example of someone who does both. I don’t think it’s a great way for a new novelist to start out. Editors and publishers act as gatekeepers: they ensure that only the highest quality work sees the light of day. Very often I see authors on the verge of becoming very good give up and self-publish books/stories that are only a little sub-par. Have they stuck with the submission process, it would force them to work harder and to improve faster. As is, and with the lack of the gatekeepers, they settle into the “good enough” attitude and produce weaker work. SHVARTSMAN: Small press is important in that boutique publishers can often undertake niche projects that a big publishing house won’t take the chance on. I think there’s room for every size publisher in the healthy industry — the important thing is that, even the smallest publishers, learn to treat authors well and fairly. SHVARTSMAN: Submit to agents. And while you wait, write the next book! SHVARTSMAN: Someone in a critique once told me never to open a story with dialog. They told me this at length. And they meant it. SHVARTSMAN: Keep writing. If possible, write every day. Don’t give up. So many people give up because they become discouraged with rejection or lack of sales. This is not for the thin-skinned: you take your lumps and you keep working. If you stick with it, and you have some of that talent we talked about above, you will eventually succeed. SHVARTSMAN: Teddy Roosevelt, Benjamin Disraeli, and Mikhail Bulgakov. I’m pretty sure I’d enjoy myself, if I didn’t die of awesome first. VENTRELLA: Well, I agree about Roosevelt, who is the major character in my upcoming steampunk novel!